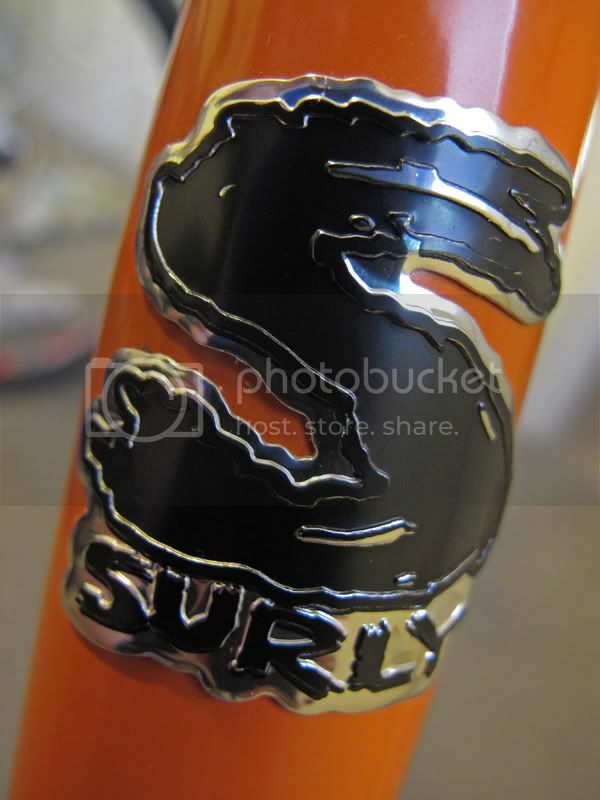 Thread: Wife's Surly 1x1 almost finished!!!! So I am building a Surly 1x1 for my wife to surprise her when she comes back from out of town... so far I think it has turned out awesome! 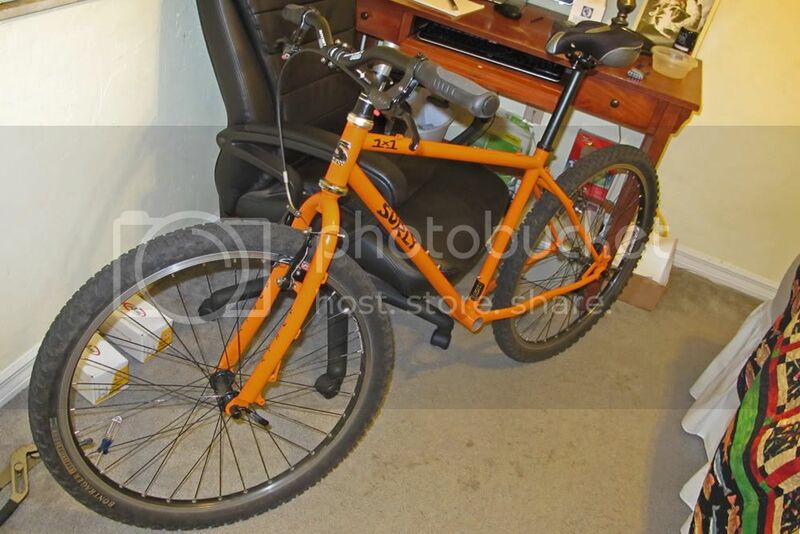 All I have left is the bottom bracket and crankset before throwing on the chain. Almost finished (I love how all the components except the head set are black. 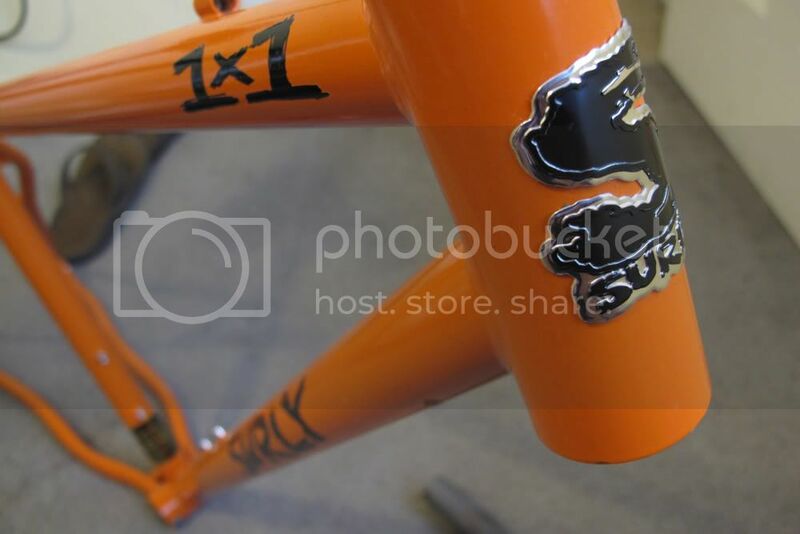 Looks sweet with the orange frame and black lettering. Love the colors! Looks like the front wheel/tire is on there backwards and no rear brake connection yet. I hope she enjoys it. I finished my wifes bike 2 weeks ago and she has ridden it a solid 5 times since. Can't complain though. She seems to be enjoying it. I love the color orange-black combination is nice. Is it me or the front tire got reverse? Front tire's reversed. I just threw it on there so I could adjust the brakes. I wish my significant other would build me a bike Nice build! 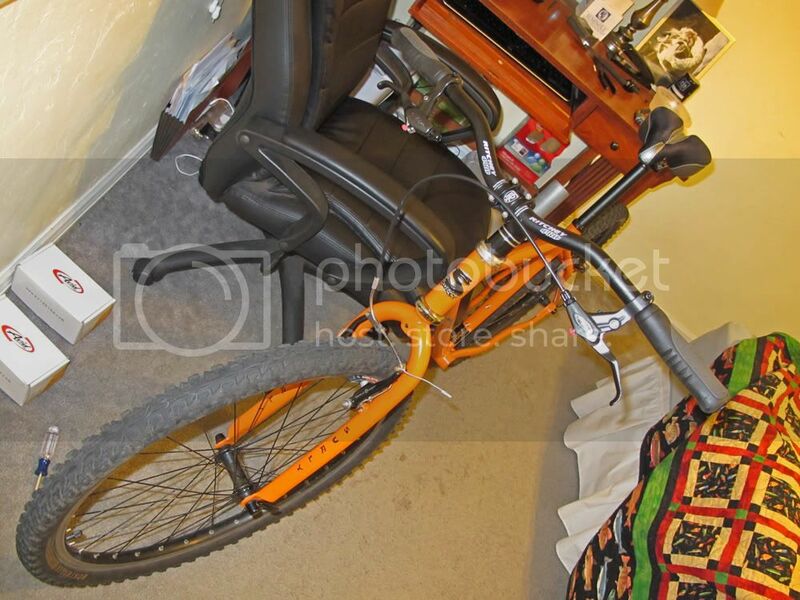 Hey I have the exact same crappy black desk chair, and the exact same craftsman screw driver. haha, too bad I don't have that exact bike too. Funny....I have the same crappy chair and same crappy desk.